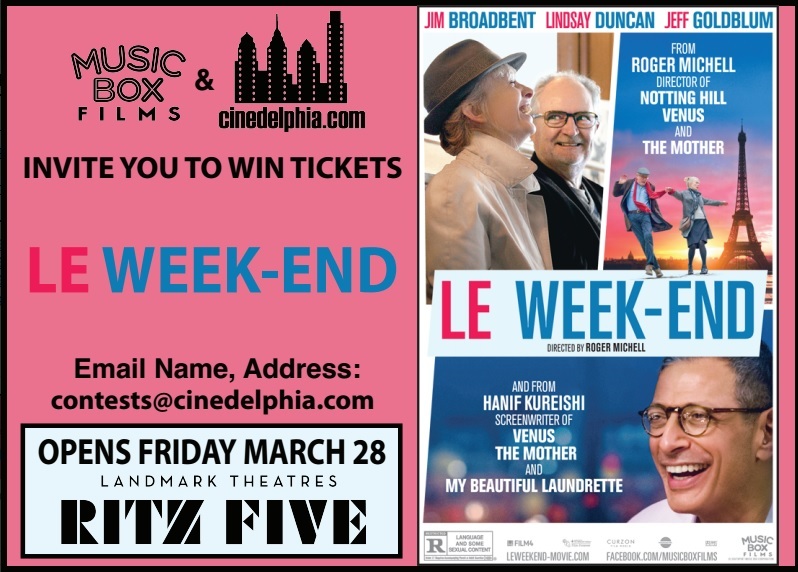 We have a few tickets to see Le Week-End, opening at the Ritz Bourse on today, Friday, March 28th. To enter, just e-mail us with your full name and address, and tell us your favorite movie that takes place in Paris, France. Winners will be selected at random, one entry per household. Tickets are valid through the film’s run of engagement at the Ritz Bourse.